Design - build construction offers a complete package. 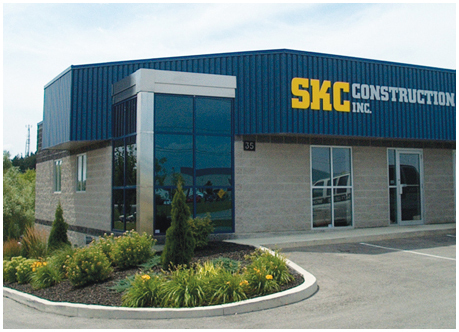 SKC has staff that is proficient with Autocad and have an excellent understanding of the Ontario Building Code. We can assist our clients with purchasing land, developing plans that suit their needs, determining a budget, permit applications, right through to the final product that they are proud of. Construction Management is a growing trend in our industry. We have completed many jobs using this method and have developed the procedures to effectively design, tender and manage the construction, while keeping the costs in line and the schedule on track. General Contracting allows us to expand our rapport with architects and engineers. SKC has worked in the industry for over 20 years and have built up a list of trusted subcontractors. Together, with our sub trades, we work toward the common goal of providing our clients with an excellent building, while treating each other with mutual respect and fairness.